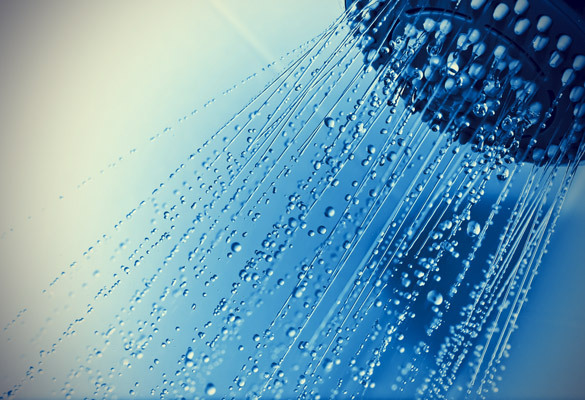 As unbearable as it is, turning the shower cold for the first few minutes is really good for your body. It eliminates grogginess faster than coffee. The instant temperature change can increase your mental alertness. The combination of wet and cold can “shock” your body awake and force you to breath deeper, which is healthy as it increases your oxygen intake, sharpening your mind as a result. It also increases your heart rate, which can improve blood flow throughout your vital organs. Studies found that applying different water temperatures to our skin could change our mood and physiology. Psychology Today cited a hydrotherapy research from Virginia which suggested that cold therapy could be helpful for patients suffering from depression. The researchers believe that simultaneously firing the skin’s cold receptors, which are thought to be 3 to 10 times higher than warm receptors, can have a therapeutic effect. Studies also demonstrated that exposing brain to cold temperature could relieve brain inflammation, a known mechanism in depression. Additionally, exposure to cold is found to activate the sympathetic nervous system, increasing the release of the adrenaline hormone norepinephrine in the brain, making people feel up naturally. Way back in the 17th century, Austrian peasant farmer Vincenz Priessnitz discovered that cold water is therapeutic. He discovered this by observing a roe deer immersing its bullet-wounded leg on a cold-water source every afternoon and seeing it gradually became completely healed. Indeed, a number of studies have proven that cold baths can heal. A 2009 study involving 360 people who took cold shower after cycling, running or resistance training showed that cold baths with water at 10 to a5 degrees Celsius are effective in reducing muscle soreness. Other studies also found that regular exposure to cold water can increase muscle mass and reduce body fat, which is highly beneficial for those who are bodybuilding.